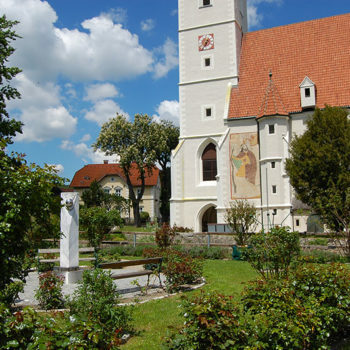 The Bucklige Welt region, only about an hour south of Vienna, is perfect for those who want to enjoy a few quiet days. Experience a wonderful diversity of nature, culture and history, off the beaten path. 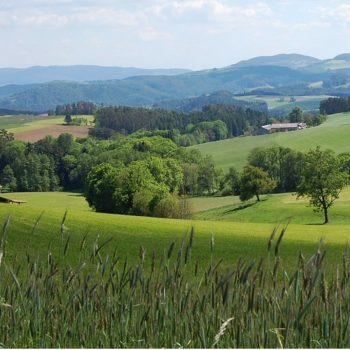 The Bucklige Welt region in the south-eastern corner of Lower Austria is characterized by a very hilly landscape. Hence the name, that means something like “world of bumps” in German. This is the eastern most end of the Alps, that extends through Austria. From here, the flat Pannonian plains dominate the landscape far into Hungary. 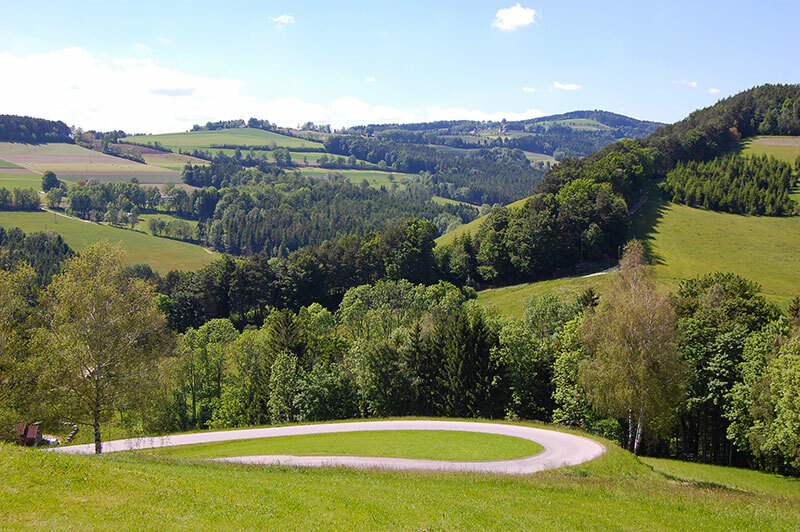 We have driven around at random, as we often do in Austria, and when we arrived in Bucklige Welt were impressed by the landscape. Around every turn, over every hilltop – of which there were plenty – new perspectives open up. The hill country rises to altitudes between 375 and 900 meters above sea level. As the distances are small, and there are many small roads criss-crossing the region, it’s perfect for discovering by car or biycle. The region is 585 km² and consists of 23 municipalities with a total of 39,000 inhabitants. 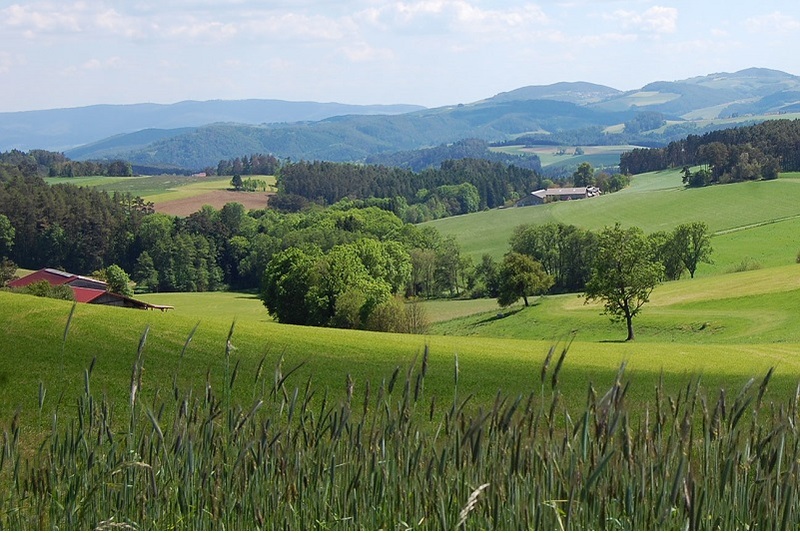 Even though there have been found lots of traces after the Celts (about 700 to 500 BC), the forested areas were not systematically cleared for agriculture until the 1100s. 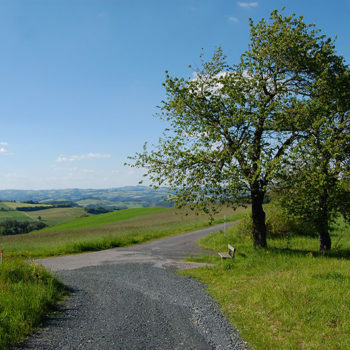 Today the area is characterized by a mix of forest and farm landscape. Villages and small towns are spread throughout the region. 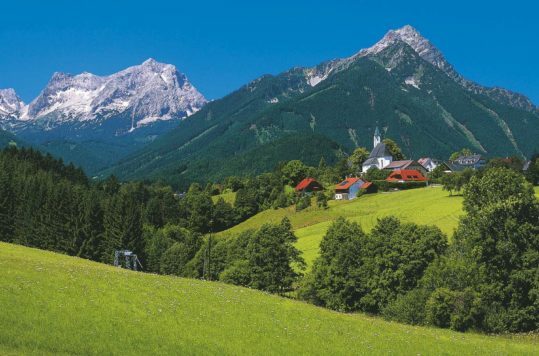 In Bucklige Welt, you can really relax and enjoy Austria at its best. 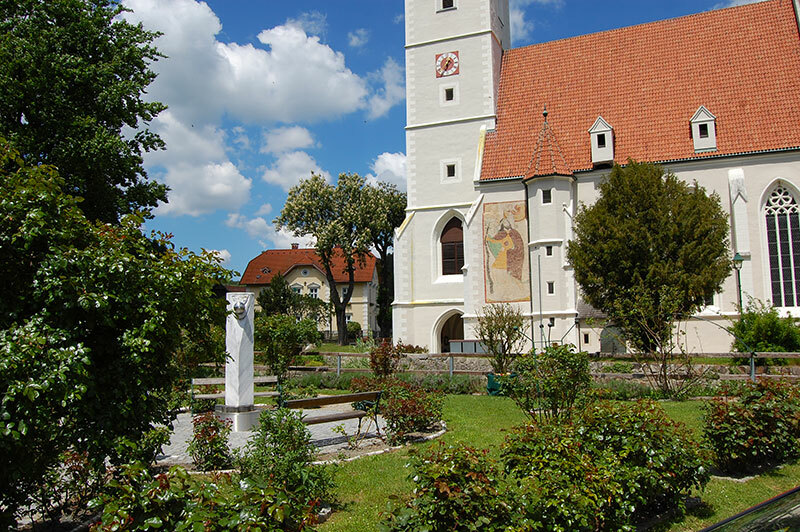 Although the region is popular with weekend tourists from Vienna, you meet far fewer tourists here, then for example further west in Austria. Holiday in Bucklige Welt is about relaxing and enjoying life. Here you collect holiday memories by immersing yourself in local history, culture and culinary delights. The easiest way to see the region is by car. 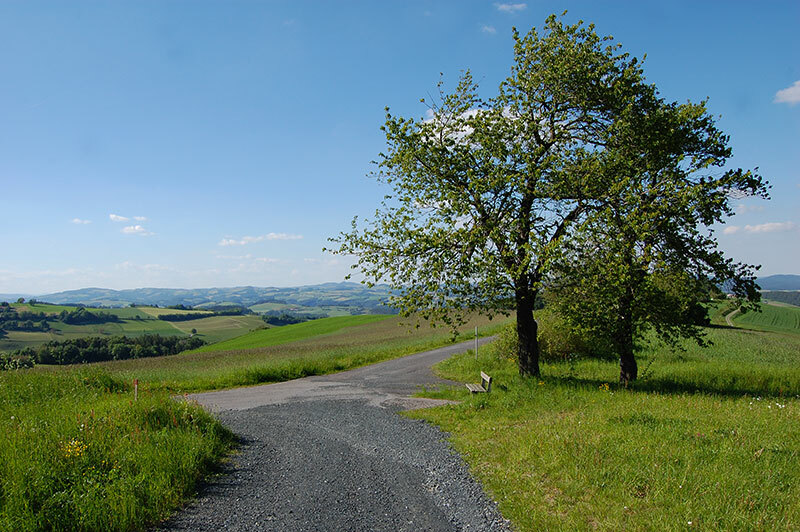 Just as in other parts of Austria, you’ll find lots of farm roads that give you access to countless detours. Bring a picnic basket, find a hilltop and enjoy the view along with good food. 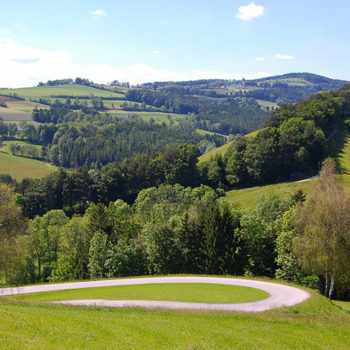 Here are three places that should go on your to-do list when visiting the Bucklige Welt. There are plenty of viewpoints in the region. On almost every hilltop you can have great views of the surrounding area. 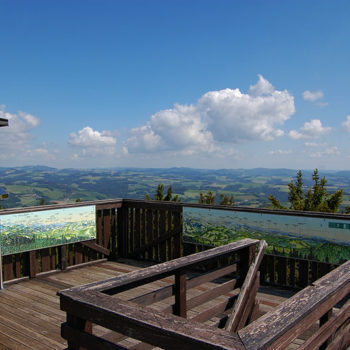 Nevertheless, we recommend taking a trip to the viewing tower at Hutwisch (Aussichtswarte auf dem Hutwisch). The 22 m high tower of wood is located on top of an 896m high hill. 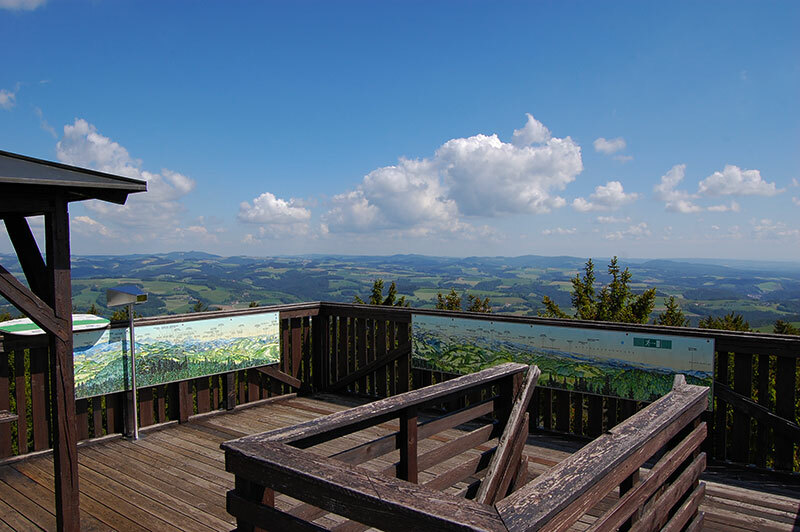 From the tower it is easy to see why the region has been named “Bucklige Welt” or “the land of 1000 hills”. On clear days you can see Lower Austria’s highest mountain Schneeberg (2076m), Lake Neusiedler and the Steiner Alps in Slovenia. From the parking lot at the L146 it is approx. a 600 m walk up to the tower, by a gravel road or paths. See Google Maps. 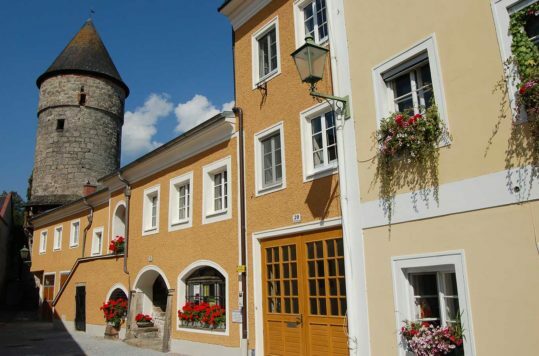 The Bucklige Welt region has many idyllic villages and towns, all of which are distinctive and new to visitors. If you only have time to visit one of them, we recommend Kirchschlag. 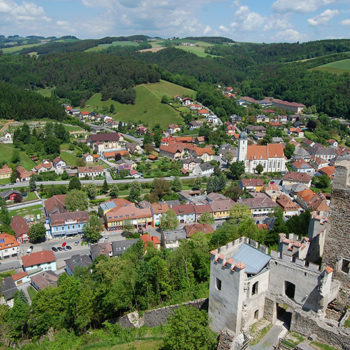 The small town with just under 3000 inhabitants offers both historic buildings and a medieval castle, which thrones on a hill above the city. Around the main square (Hauptplatz) you will find shops, cafes and restaurants. Take the time to stroll off to the park at the church. 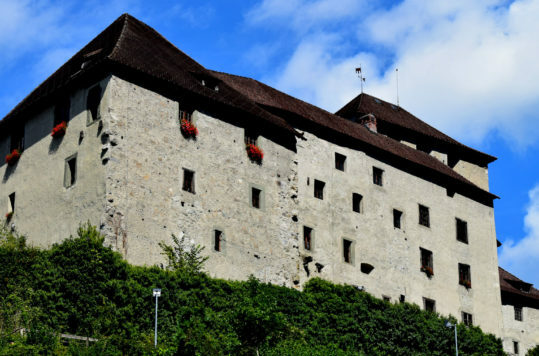 Any tour of Austria should include a visit to a medieval castle. 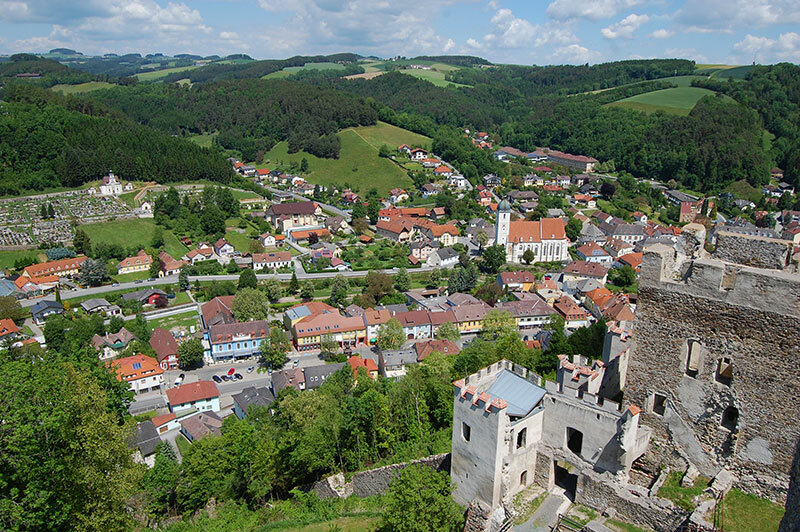 Perched on the hill above the village a fairy tale like castle towers over the valley. Parts of the castle have (Burgruine Kirchschlag) been restored and it is easy to get an impression of its former splendour. Just next to the castle stands the fire tower, which has nothing to do with the castle and is a much newer building. Here you can get even better views than from the castle itself – if you climb all the stairs. There is free entrance to the castle and parking is available at Hauptplatz (Main square), and from here it is a 5-10-minute walk up to the castle. See Google Maps.